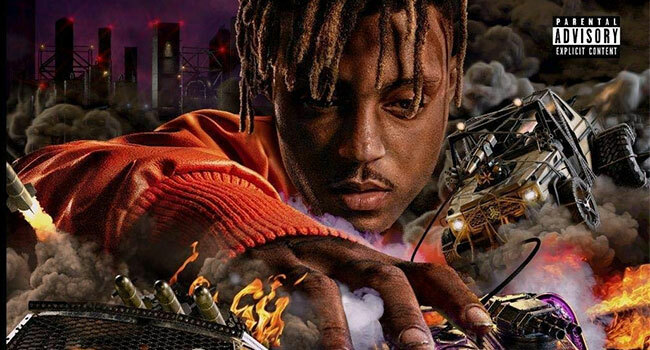 Death Race For Love, the second studio album by Chicago artist Juice WRLD, has debuted at No. 1 on the Billboard 200 chart, with 165K equivalent units. Additionally, Death Race For Love marked the second-biggest streaming week of any album released this year, with over 200 million global streams. The album was released March 8th on Grade A Productions/Interscope Records. Death Race For Love includes the single “Robbery,” released February 13th, which debuted at No. 27 on the Billboard Hot 100 chart, and peaked at No. 2 on the Soundcloud chart. “Robbery” accumulated over 21 million global streams in its first week of release. The album also features the single “Hear Me Calling,” which hit 6.7 million global streams within the first three days of its release. Juice WRLD will be performing at this year’s Coachella festival. He will then begin his headlining North American tour on April 25th at the PNE Forum in Vancouver, BC and wrap the tour June 8th at The Bomb Factory in Dallas, TX, with support from Ski Mask The Slump God and The Lyrical Lemonade All-Stars. Tickets are available, along with a limited run of exclusive merch collaborations, with VLONE, Lyrical Lemonade, Half Evil, and Ransom.